Car accidents are violent, shocking, and terrifying. Often they result in terrible injuries. If you have been involved in a car accident of any kind, you should contact a legal professional who has experience handling personal injury cases. At Van Norman Law, we have over 20 years of experience protecting accident victims. We have handled many types of accident cases and have seen all different types of injuries. The most common that occur in car accidents are injuries to the head, neck, chest, and back. Head and neck injuries are among the most serious type of injuries that could occur during a car accident. Unfortunately, they are also very common. Seat belts are great for protecting the body from catastrophic harm, but they do not fully secure the head and the neck. During a collision, drivers and passengers often hit their head on the steering wheel, dashboard, or window. The most common type of head and neck injuries that accident victims experience are concussions and/or whiplash. It is of the utmost importance that injured victims contact a health care professional after suffering a head/neck injury. 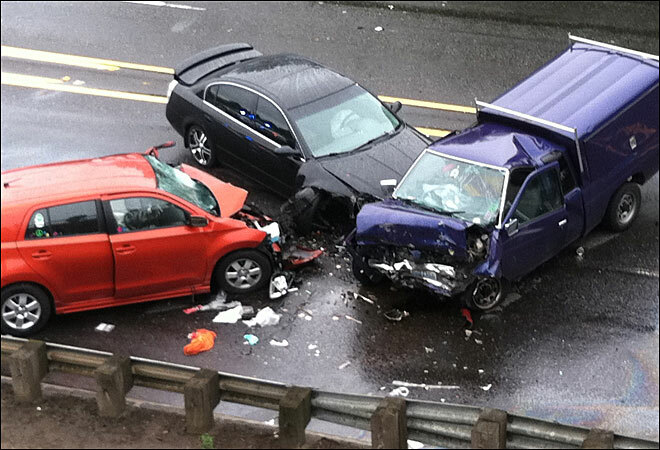 Car accidents can also inflict major trauma on the chest and the back. Sudden forceful movement, like a car accident, can cause muscle and ligament damage throughout the body. The brain is connected to most of the nerves in the body through spinal nerves. This means that damage to the spinal cord can cause many other complications. This could include numbness, dizziness and paralysis. Nerve damage and other back injuries can make it difficult to complete everyday tasks such as showering and getting dressed. Chest injuries can be just as serious. Accident victims who experienced major blunt force to the chest may suffer from broken ribs and/or collapsed lungs. Some individuals have even gone into cardiac arrest as a direct result of being struck forcefully in the chest. Whenever you are involved in an accident, your health and safety should be your number one concern. It is important to seek medical help immediately. Also, remember that as an accident victim, you have rights. Contact an experienced personal injury attorney right away. If you have any other questions or concerns we encourage you to reach out to us, here at Van Norman Law.